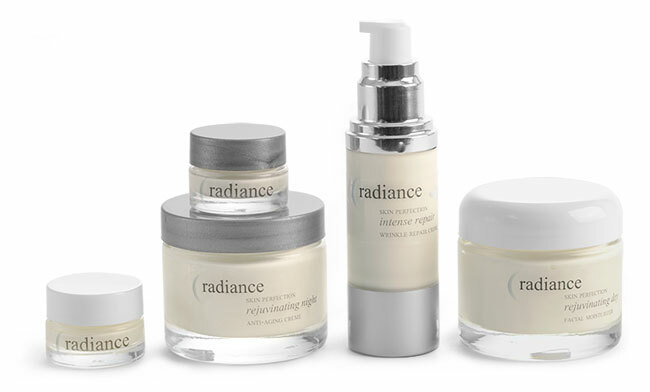 Pair our Glass Cosmetic Jars with white and silver caps and our Airless Pump Bottles for an elegant solution to packaging facial cream products. 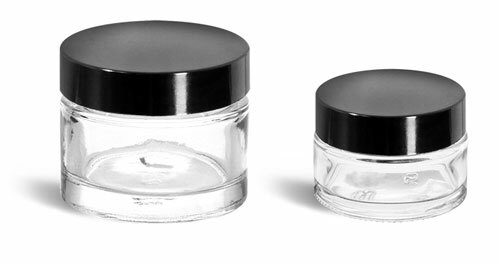 The 2.3 oz size jars might be a great option for packaging anti-aging cream while the .25 oz jar might be a great option for packaging eye creams. Try using the airless pump to for packaging facial moisturizer or anti-wrinkle cream. 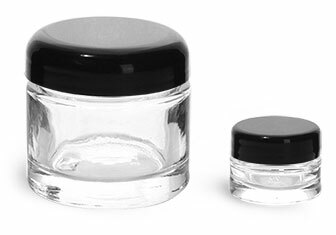 The features of these containers such as glass material, sleek clear bottom, and the airless pump, can help convey the luxury that your products have to offer.